I’m sure you have heard of Empower Network and are wondering, is Empower Network a scam? I will reveal to you the hidden truth from those who know best, give you further insight, and my opinions so you can make up your own mind. One thing is for certain, there is a very, very small percentage of people who are making money being part of Empower Network (EN). I met one such person about a year ago who told me he was in EN after I asked him what he did for a living. He always worked from home and he had a sweet looking Corvette in his driveway. He tried to get me to join by giving me his story and his slick sales pitch so I played dumb like I was somewhat interested. I had already been forewarned about Empower Network from several people that I know who had joined, only to later quit after spending thousands of dollars, working their butts off and not making more than a hundred dollars a month. They were led to believe that their monetary contributions for membership upgrades would make them wealthier than when they started. From my personal experiences of working on the internet for many years, I knew about blogging and how to make money from it. I also was already making money online selling on eBay. When this guy tried to sell me on how to make money by just blogging every day with EN and after paying these outrageous monthly fees, it took everything I had not to laugh in his face. So what is the Empower Network review? Let me explain to you more about what Empower Network is. Their business model is based off of what is known as Multi-Level Marketing (MLM). This form of marketing however is not really part of the traditional form of marketing practiced by the majority of businesses in the world. True there are some companies that use this form of marketing and do quite well but unfortunately for MLM as a whole, too many scammers have muddied the waters. 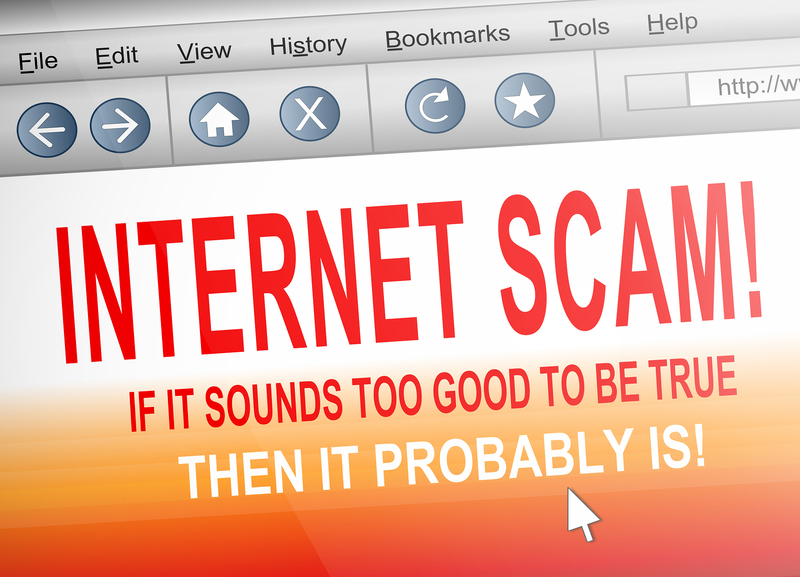 In turn these scam artists have given other legitimate forms of internet and affiliate marketing a bad rap. If you are the type of person that can look people in the eyes and talk them away from their hard earned money that may very well put them in financial trouble, to invest in a belief that doesn’t have an actual product behind it, then Empower Network maybe right for you. With EN you are marketing a philosophy where YOU are the product. You have to get other people to join EN and upsell them expensive membership packages that motivate and teach them to go out and do the same thing you just did to them with other people. That right there is a Red Flag with me. Marketing a belief just doesn’t seem right to me. Does that sound right to you? If you were being asked to buy something or join something expensive when you don’t have a lot of spare cash in the bank, wouldn’t you want to get something valuable, something tangible out of it? How can you get anything physical out of motivational audio and video files for a marketing philosophy that is not tied to an actual useful every day product? Can you legitimately get people to buy from you if you do not offer something of value in return? Again let me say that there are some MLM companies in the world that are legitimate and do work, but that is because they offer an actual product or useful service. Empower Network on the other hand does not offer either. Now I am sure that there are many EN members who would argue that they do offer something and that thing is a blog and motivational training videos. What kind of value do these so called videos offer? Can I take the knowledge from these motivational training videos and apply them to any other marketing business in the world? Maybe, but most likely not! They only are good for getting other members to join so that they can get more members to join and so on and so on. The only thing these training videos market are themselves and the way to get people to join and pay large sums of money they probably do not have to do the same thing, convince others to invest. Almost sounds like the Bernie Madoff Ponzi scheme. The problem with people that join Empower Network is that they believe the hype they are sold. They are fed a bucket of untruths and their heartstrings are played upon by these members in EN that are trying to recruit more members. That is how to make money in an MLM, from the people that are recruited who go out and recruit more people, because the money they make gets passed up to the people at the top of the pyramid. This can be somewhat of a good thing if you had an actual product to offer like Melaluca, Life Plus or Avon, but Empower Network offers only their marketing philosophy. Can we say SCAM ALERT? Though just that fact of you marketing their business model should be enough to give you some pause, let me explain something that should make you run away from EN. Have you ever received a message via email, text or in the mail informing you that you won a large cash amount in a foreign lottery? You get excited and then you see that you have to pay them money to receive your winnings. WHAT!? If I won money, why should I have to pay to get it? The same holds true for getting paid using the Empower Network business model. There is no commonsense that I can think of that says you have to pay someone to get paid the money you are owed, whether you make any money or not. So let me break down the costs for doing business with Empower Network. • $25.00 per month for their Blogging System known as Blog Beast. This is a total rip-off right off the bat because you can get a free WordPress website and blog from many sources that YOU actually own. You do not own any of the content you create on Blog Beast, EN owns it because it is on their domain name. Plus being that it is tied to the Empower Network domain name many of the search engines are now branding these as spam. Even Facebook, Craigslist, and YouTube will block any attempt to have any post with the EN domain name posted on their networks. • $19.95 per month for the EN Payment Processor. This is basically paying to get paid, just like in those bogus foreign lotteries that I mentioned above. Why does EN charge this? Because no reputable financial institution like Visa, MasterCard, American Express, or PayPal would ever allow EN to have a merchant account with them. This is because of the way EN makes money which is borderline illegal. So that is why YOU have to pay to get your commission. All of that money so you can have a blog that is not yours, doesn’t even rank well in the search engines, and gets outright blocked by Facebook and other networks. On top of that you may not even make $1.00 from all of this. Talk about a poor ROI (Return on Investment). With all of the more legitimate ways to make money online in your own work at home business that get high rankings on Google and the other search engines, why would you even bother joining Empower Network? Oh but there is more wasteful money spending that one can do as an Empower Network member. If paying $539.40 a year to get a low ranking blog that may not make you $1.00 is not enough to get you running away from EN, perhaps this will…with a little screaming added in too. 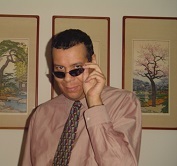 • $100.00 per month for the Inner Circle Membership. All this means is that you can now get a bigger commission payout of $100 residual and get access to a library of audio clips that coach you in how to grow your business. – NOTE: You can get this information for FREE elsewhere on the internet from REAL Internet Marketers. – So now to be an Inner Circle member you will be paying a total of $144.95 per month, ($100 Inner Circle + $25 Blog Beast + $19.95 Payment Processor). That is a total of $1,739.40 per year! – Do you think that is crazy? It gets even more expensive. • $500.00 – Costa Rica Intensive (a One Time payment + 144.95 per month). Now you get the privilege, if you can even mildly call it a privilege, to have access to a library of videos that helps you to build your business for the long haul by promoting EN to others so they can promote, rinse and repeat. • $1,000.00 – 15K Formula (a One Time payment + 144.95 per month). This is another level of about 8 or 9 videos helping you to promote EN via online avenues. How can that be possible? Facebook and other networks have outright banned any links based on the Empower Network domain name, which is what the “Blog Beast” is based on and search engines are no longer ranking these. No online business can succeed without the higher rankings from the search engines. Everyone who practices true SEO knows this. – Why would anyone with half a brain pay all of this money when they can get way more high quality training and resources for less than $1 per day? • $3,500.00 – Masters Retreat (a One Time payment + 144.95 per month). Just when you though it couldn’t get any more expensive, Empower Network hits you with more money you need to pay them, for approximately 40 motivational information videos on marketing their marketing scam program. Do not forget! Empower Network does not offer an actual product or service of any value, especially when you can get all of what they offer (which isn’t anything that you can apply to any other type of business) for far less money and in some cases for free! Are you ready to go “All In” with Empower Network? The term “All In” is when a member is foolish enough to buy all of the membership packages at once to maximize their commission payout should they even make any sales, meaning getting other people to join EN and pay outrageous money for marketing the EN marketing program. How much is the “All In” price tag? An out of this world price tag of $6,739.40 ($5,000.00 One Time payment + $1,739.40 for yearly membership to Blog Beast, Payment Processor & Inner Circle). Can you see yourself paying that much money for the first year just to get started in something you don’t know anything about? That is totally outrageous and in my opinion if anyone is dumb enough to pay that amount of money up front not knowing if they could ever earn that money back within a year, would be better off taking that money and getting an education in real marketing. Better yet they can take only $359 and pay for an entire year membership at the best online business training community in the world that DOES HAVE a high ranking with Google and the other search engines, that DOES HAVE a good standing with Facebook and other social media, and that DOES HAVE the opportunity to make you money promoting actual products that can be found at Amazon, Microsoft, Best Buy, Target, Apple, Walmart, and many other retail companies. 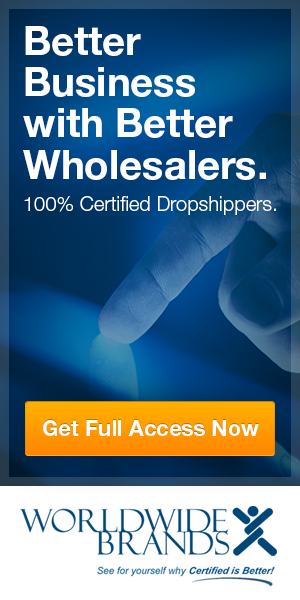 At the beginning of this review I gave Empower Network a rating of 2 out of 100. Some may think that is too low and some like my friend who lost the few thousand dollars he had left in his savings account, may think zero would be too high. I think it is a fair rating being that statistics show that the majority of people make under $100 a month and a small percentage of people make under $4900 per month after they go “All In”. With so many people making so little money nowadays, working for other people and making them rich, I can understand why many people are looking for a way to make money for themselves from the comfort of their own home. I understand that because I do make money online from the comfort of my home. However I didn’t and do not have to pay thousands of dollars just to get started and to continue moving forward. I was able to learn SEO (Search Engine Optimization), Keyword Research, Social Media Marketing plus a lot more for less than $1.00 per day with the most up-to-date training in Internet Marketing. I even was able to take the entire first 10 lessons out of 40 and get two WordPress websites and blogs for FREE! I am totally serious and I can prove it! Just watch the video on my How to Build an Easy Website page to see for yourself. So why would anyone want to take an expensive chance and spend thousands of dollars on the Empower Network’s marketing program? I can think of two reasons. 1) They are in desperate need of money and they are believing all of the slick marketing hype about EN from the “Fat Cats” at the top or those doing their bidding, that it will actually work for them. 2) There’s a sucker born every minute. Have you read the horror stories? You may have noticed that I have a few images on this review of just a small sample of the hundreds, if not thousands, of people who have been suckered by Empower Network and like my friends, had quit. They are from one of the many complaint websites on EN and they are all current 2014 complaints. Unfortunately for them they lost a lot of money and cannot get it all back if any at all. However you do not need to be suckered into joining EN, especially when there is a better way that you can start an online work from home business that is totally free to start. I did it and over 100,000 other people have and are doing it right now. If you want to know more read The Wealthy Affiliate Review, where I show you what you get in their 100% Free Trial Membership and how you will get my personal help and support if you need it. No credit card is required for you to start. Starting an online business of your own does require an investment but nowhere close to what EN would have you pay them. You do not need any special education or computer knowledge because your websites and blogs are created for you. You are also led step by step through the entire process and can get live support 24/7. I started my online business for free and after a month I upgraded to $359.00 a year, that’s less than $1.00 per day. If you were to take EN’s lowest membership package price of $1,739.40 that gives you their Blog Beast that gets piss poor rankings in the search engines and blocked by Facebook and others plus motivational audio files and videos and compare it to what I get, I think it is pretty clear to see that Empower Network is nothing but a pre-packaged Pyramid / Ponzi Scheme and a downright SCAM that has many complaints to both the BBB (Better Business Bureau) and the FTC (Federal Trade Commission). • If Empower Network isn’t a scam, why does one of the owners live in Costa Rica? Could it be to avoid prosecution by the FTC? To avoid paying certain taxes? Sure sounds like it to me and many others too. • If Empower Network isn’t a scam, why does all of the major credit card companies and PayPal refuse to give EN a merchant account? • If Empower Network isn’t a scam, why is Facebook, Craigslist and YouTube outright blocking anything with their domain name attached to it? 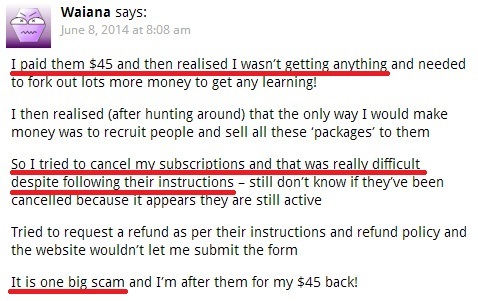 • If Empower Network isn’t a scam, why are so many people quitting and not getting their refund? You can waste your money, work hard, and get nothing in return or you can take another path to your own online business that is at the very least free to start and at the very most $359 per year. That price will give you way more than Empower Network could ever dream about giving you plus you will get a top notch education in how to build your own online business. You will also get my personal assistance. If you are interested check out the information and the video on my Getting Started page. It will show you how quickly (within 30 seconds) that you can build (program) your own WordPress website and blog using the exclusive Site Rubix website builder. In just 4 easy steps you can have a fully functional WordPress website and blog automatically programmed for you. Don’t be persuaded to pay for things that you can get for free elsewhere on the internet. 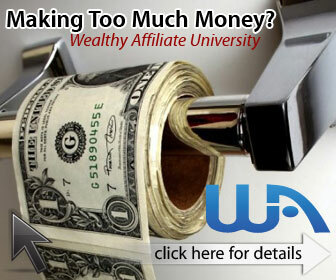 You do not have to pay thousands of dollars to make money online when you can do so for less than $400. Plus you can always use the free training I provide on this website to help you succeed. – If you would like to share your own experiences of Empower Network or you have a question, please leave them below and I will be happy to return a comment or answer for you. I found this comparison particularly interesting as I too was temporarily connected with a sponsor active with EN Of course their was all kinds of pressure to upgrade and “Get ALL In” and the investment was a ridiculous amount. I had known the woman I signed up under. I did my IPAS membership and of course she constantly urged me to upgrade. Eventually I did get the blogging system as well and that was supposed to open up all kinds of oppurtinity. There was always a sense of urgency with her.. She of course was going overseas from New Zealand to see family in the UK and would have loved the 1K timely commission that my investing could have funded her trip. She was always pressuring me and my husband. There was such an sense of urgency on her part that she came across as so very needy. Red Flags all over the place. She new I was relocating and had a lot to adjusts to once I settle down under. Rather than encourage me to get settled first and then follow through, she tried guilting me for the choice I made to suspend my membership.. Never will I recommend EN products. I am honest to say I met some other kind souls venturing into the business but the whole premise and sales effect that definitely plays on your emotions was mostly why so many of these people get suckered into investing. Only to find later that they did get the ROI they expected. I am so pleased to see the MOD of client here at WA and never do I feel like it is urgent. Just solid plain help and integrity. I have no hesitation that the investment here will be wasted. It is so much more for the value we get in return. Thank you WA and it’s community. For I have found something far superior than EN This program is realistic, doable and gives you a valid sense of accomoplishment as you progress. That is the standard MO for many sponsors within EN. They always pressure and then make you feel like you are stupid for not upgrading. To me that is the attitude of a THUG! And a desperate thug at that. Scam programs like EN and MOBE/MTTB make me mad they they take advantage of the unsuspecting. That is why I like writing these scam reviews, to help warn people about these scams. As for Wealthy Affiliate we are totally transparent and 100% scam and spam free. And if you like WA so much and you can refer only 3 people to become a Premium member, the commission you make from them every month will more than pay for your monthly membership cost. It’s a win-win scenario! Yeah I was with them and just canceled the Inner Circle, Viral Blogging System and the Affiliate Program. I honestly think its crap. I mean, they are always coming out with something else, something else and charging a crap load of money for it. Here at WA, I don’t have to buy a $247 ticket to see the owner of the company, I can talk to them anytime within the site and get a chance to meet them just by doing a good job in my business. I’ve found my home. I agree Joshua! Growing a business doesn’t and shouldn’t cost so much money, especially for crap information and information that costs under $50 if not free elsewhere online. The problem is the people who fall for their hype don’t know any better and EN preys on people like that by feeding them a bunch of perfumed sprayed garbage. Welcome to Wealthy Affiliate because they treat you right and yes, you can talk to the owners when ever you want and meet them for dinner and drinks with an all expenses paid trip to Las Vegas. NONE of those EN meetings people travel to are all expenses paid! No, you do not have to pay that much to blog Maketta. The majority WordPress blogs are free and selling audio and video files that are just recordings of the owners explaining how they went from rags-to-riches, is not an actual “useful” product. Even if it was, why would you pay thousands of dollars for that information when you can get just as effective information for free on the internet? Empower Network is a rip off. Even there Income Disclosure says that 96% of their members will not make enough money to cover the cost of the EN materials they buy. Thank you for your comment Peter. I do not know how much longer EN will be around but I do know of a lot of people are beginning to wise up as to what a big scam they are and are quitting EN. With so many complaints to the FTC and the BBB as well as many of the social media networks blocking their posts, it is just a matter of time before EN will shut down. I just hope my review prevents those who don’t know any better from joining and wasting their time and money. I had 3 dead EN leads and not even anything to show for other affiliate products I promoted either. Empower Network is a complete waste of anybody’s time and I guarantee people won’t have success with it unless they either promote the scam itself through other blogging platforms or have big lists of email subscribers (like the Gurus). There are no products of value with EN and I class it as a true pyramid scheme. The only ones who disagree are the members who are receiving big commission cheques through conning others in to the program. So sorry to hear that Neil. EN is the biggest piece of crap I have ever had the displeasure to review. They have ruined the finances of many people I know. I just feel sorry for those die-hard holdouts that have no idea that they are associated with a company that is slowly sinking. This is one of the best EN reviews I’ve read. Anyone who still wants to join EN after reading this review is either desperate, delusional and/or deceitful. Thanks for the review very well read thanks. MLM companies base their business model similar to your typical Pyramid scheme. The difference between a Pyramid scheme and a legitimate MLM company is in a MLM company no matter when you join you can make money you don’t have to be at the top. In a pyramid scheme it’s only the few people on the top. I’m a big fan of MLM companies only becuase of the great things they’ve done for me and for my friends and family. You are welcome Justin. Like I said in my review there are many MLM-style companies that are legitimate. Like you just stated, “no matter when you join you can make money you don’t have to be at the top.” This is true for those legitimate MLM companies, especially ones that have an actual product. But companies like Empower Network that can’t get a merchant account with any credit card companies because of their risky business practices, that get outright banned from many social media networks as spam, and that require you to spend thousands of dollars with the slight chance that you will maybe make your investment back; gives MLM as a whole a bad name. Yes, there are MLM companies that are scams, like EN, but there are also many MLM companies that are legit, you just have to use some commonsense when finding the good ones. – Thanks for your comment Justin. There was a time that I was considering joining Empower Network, and I am sooooo glad I did not. I did not like the high pressure sales tactics used to promote the upsells, and I did not want to go “All in” as the videos of the owners and uplines kept encouraging. Your review is the most thorough about EN I’ve seen. Thanks for presenting the facts about EN to warn others about this organization. You’re welcome Deidre. I had lots of information given to me by some of my friends on how EN hyped up their sales pitch to make it seem that money would come flowing in and that you would keep 100% of the commission as well as making the lives of other people better. Then only to find that they had to work so hard and pay so much only to get back so little if any at all. Basically they were lied to. So I hope that the information in my review on EN will help others to stay far away and not fall for their scam. Top quality professional review, thank you. It is so disappointing to see how clever marketing techniques can be used, to the detriment of all but those at the top of such a pyramid. Your efforts will certainly facilitate getting the word out and help to protect some of those who could otherwise be vulnerable. I hope so John. I hope this review saves those who read it from joining one of the biggest scams out there. After seeing my friends lose thousands of dollars I want to make sure no one else experiences what they went through. – Thank you for your comment. I couldn’t agree with you more! When I first started my quest of finding a work from home opportunity I was flooded with Empower Network e-mails. I found out first hand that they were a SCAM! Thank you for getting this information out there to protect future online entrepreneurs from getting burned. You are welcome Darlene. I hope my review does help people to avoid getting scammed by these crooks. When Facebook, Craigslist and YouTube are blocking the Empower Network domain name, well then something rotten must be up with the company. When no credit card company or PayPal will give EN a merchant account, again something rotten must be up with the company. The problem with people that join EN is that they don’t take the time to consider these facts or even know about them. This is why I hope people read my review so they know the facts before they get trapped by EN. Thank you Janine for your comment. It really is a shame that EN representatives have to act like bullies and thugs if you choose not to spend a lot of money on their worthless membership upgrades. It’s bad enough that they play mind games and trick people into joining them but then to get down on them for not spending more money is totally unethical. If I had someone working for me that did that with one of my clients, I would fire them on the spot. What goes around, comes around. You reap what you sow. The Empower Network is going down and those who are still in it better beware of the coming doom and wake up to the truth. Hi there! I bought their stuff. At first they inspired me to do more, but lessons after lessons I realised they’re not giving me any info at all. THEN I googled if they’re a scam (lol, should have done that first). Kyle’s scam review site told me it’s a scam, and I read the comments saying there were too. I decided to back away because it makes sense that they are scamming. Sigh. And then I found Wealthy Affliate. Don’t get down on yourself Sal, Empower Network is notorious for shoveling a bunch of HYPE that makes their scam program seem like the answer to your money problems. They make it sound all glorious and legitimate that many people forget about checking them out to see if they are a scam. I personally do not join anything without first doing a lot of research on it. If the person that refers me pushes me to join without giving me the time to check out the facts, well then that right there is a Red Flag with me and tells me there is something not right about what they are offering. That’s probably the best review I have read about the Empower Network, I cannot believe they are still running. I suppose their day in court will come, and hopefully they will suffer a much worse fate, than their unsuspecting clients. I think their days are truly numbered Craig because I am seeing more and more people quitting, some of them who actually made some money with them. But any company who has their own domain name blacklisted by Facebook, YouTube and Craigslist plus not getting good Google rankings, has got to say something about the legitimacy of their company. I feel sorry for the people like my friends who get suckered into joining without first knowing all the facts. I hope my review opens people’s eyes to what is really the case with EN and to use some commonsense and ask why credit card companies will not work with EN and why are there so many FTC violations. EN is definitely not going to be around much longer. Thank you Paul for your comment and I’m glad you enjoyed my review and what I had to share. Empower Network is actually the ad that got me back into looking into making money online. As I researched them I found a two hour video by one of the founders. As I watched it I felt like something was off and by the end of it all I was really upset. As I thought about it afterwards, I realized everything he said was a scam, and what really set that off for me was his lack of eye contact with the camera and his name calling. The next day I moved on from them not wanting to give up $25 to find out if it really was a scam. I quickly found Wealthy Affiliate after that and have been building my successful online business since then. It’s good to know that you are among the smart sensible people to realize that EN is a scam before joining them. Like I said in the beginning of my review, I have friends who joined who lost thousands of dollars and then quit. They forewarned me about EN, though I had no intention of joining them anyways. I just hope that people who are thinking of joining them see my review and read the commonsense questions I ask of them and take action by not joining EN. – Thanks for your comment James. Thankyou so much for putting this review up. EN sounds like a terrible business model and I’m glad I found your review before heading in and making the insane cash flow they promised. Oh, OK. I’m glad you were not suckered by them Daniel. They are borderline illegal and there are many complaints filed about them with the Federal Trade Commission. EN is a horrible scam that too many people fall for because they do not know any better or take the time to use their commonsense and ask tough hard questions. Questions like so how do I actually make money? How much maximum is this going to cost me per month? What kind and how much support will I get with any and all technical problems? How can I get in touch with the owners? – Those would be the questions I would ask before ever joining any type of business community. The reason why I joined WA was because I got an honest and truthful answer to all of those questions and more. – I’m glad you didn’t fall for their scam. Empower Network literally makes me sick to stomach. Think about all the people they’ve scammed that will never try to build a business online again, that’s just wrong. They’ve not only stolen people’s money, but also in many cases their chance at true financial independence. I’m glad I was never caught in that trap, although I did come close. I agree with you Chris. I have friends who were caught up in their scam and when I started hearing their horror stories it just made me ill that people are getting fooled into believing that this is the best way to make a decent living for themselves. I’m glad I was smart enough to realize that starting your own online business doesn’t require a fortune to start. Yes with every business you must invest in it to grow it but not all at once and certainly not thousands of dollars within the first year. That’s one of the main reasons why I joined WA because I got a top notch education in website design, SEO, keyword research, marketing practices, 2 websites and hosting all for free before I even had to “choose” if I want to upgrade. No pressure and I learned so much in the process.